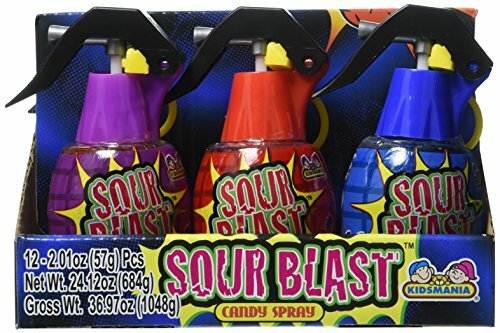 Pull the pin, spray in your mouth and let the sour flavor blow you away! 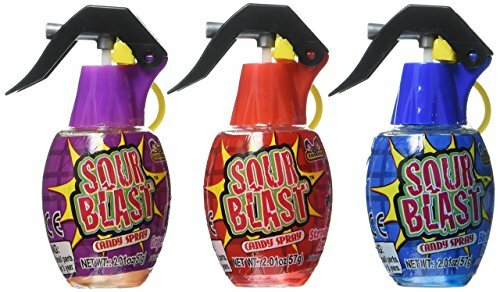 Contains a sour, liquid candy spray to consume. 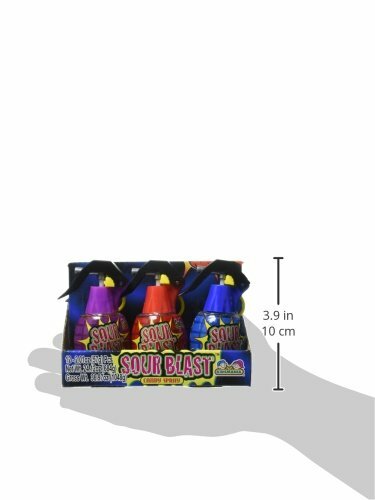 Kidsmania sour blast candy spray 12 count, size 12 count, weight 2.01, 13811. 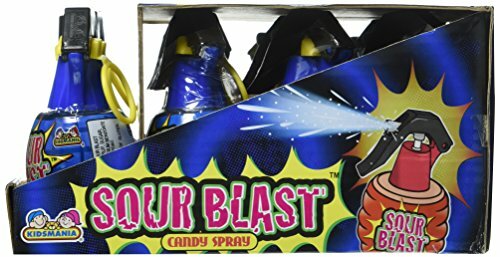 Kidsmania sour blast candy spray grenades. 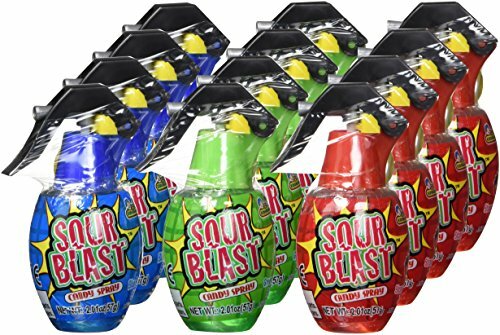 Twelve Kidsmania sour blast candy spray plastic grenades. Flavor assortment includes grape burst, strawberry awe and blue raspberry shock.